Conversion is all that matters. We made this our focal point. Manage your quotes all in one place. Right within your webshop’s admin panel. 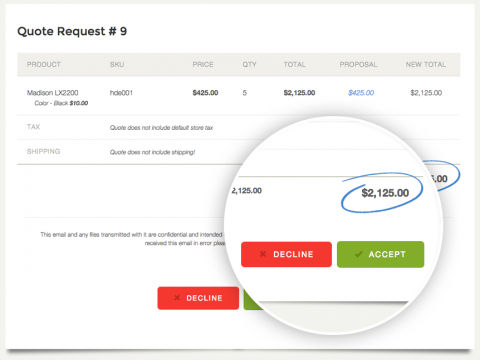 Save Time: with Propoza you create price proposals in mere seconds and check out via your regular website checkout. 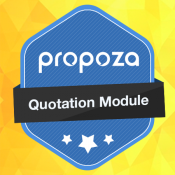 Propoza's Quotation Extension enables your customers to request custom prices from your webshop’s front-end, with a user-friendly and customizable Request-for-Quote (RFQ) form. On submitting the RFQ form, your customers receive an e-mail confirmation for the quote they requested. 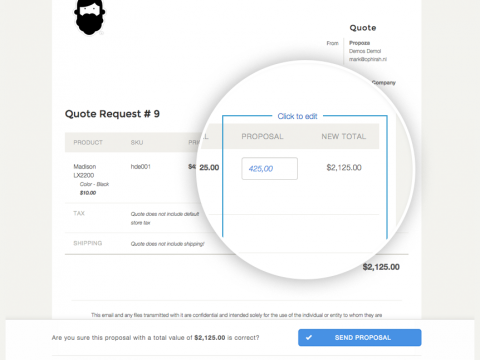 You can now create a custom price to each requested item and send a proposal back to your customer. The customer will be able to either accept or decline your offer, via a client dashboard or directly from the e-mail. When the customer accepts your price proposal offer, he can check out with the discounted price via your regular webshop checkout. A quote request form is an essential feature for a wholesale & B2B-focused store, as negotiations are an integral part of conducting business to business transactions. 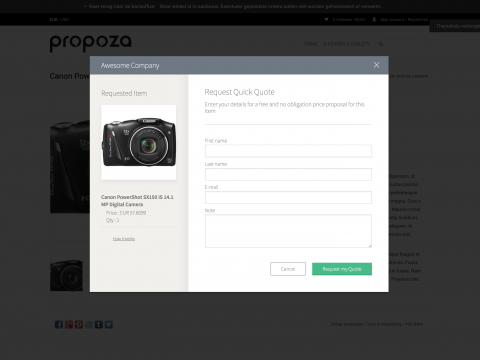 Customizable quotation forms directly linked to your product catalog. Receive instant updates when customers submit requests. Create price proposals in mere seconds. Manage all your proposals in one place from within your back-end. Fully responsive admin panel as well as front-end. Fully translatable into your store language.